Police never collected CCTV from the building which housed one of two bombed Birmingham pubs, an inquest heard. On 21 November 1974 two bombs ripped through the Mulberry Bush and Tavern in the Town pubs, killing 21 people. Jurors at new hearings into the deaths were told both the Mulberry Bush and the Rotunda building it was based in could have been evacuated in less than eight minutes. They also heard the Rotunda had already been targeted twice before the attack. Those incidents, in April and July, had caused extensive damage. Giving evidence on Monday, Brian Brown, a surveyor in charge of security for the Rotunda, said its CCTV from the night of the fatal bombings was never looked at by West Midlands Police and was later wiped. Coroner, Sir Peter Thornton asked about what the policy was if the building had been placed on its highest threat level and whether he would have decided to evacuate. Mr Brown said: "I would expect so, it seems highly likely." He said he would have expected the Mulberry Bush to have been evacuated immediately if the fire alarm had sounded in the pub. 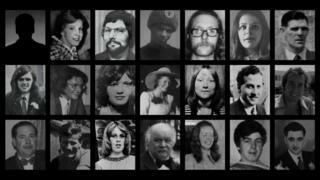 The Irish Republican Army is believed to have carried out the bombings, but no-one has admitted responsibility. Mr Brown said the police had not passed on information about an IRA coded warning prior to the attack. Under cross-examination by the barrister for West Midlands Police, Mr Brown said he had several meetings with high-ranking police officers and the force was taking the bomb threat seriously.